The big market event this week is, without doubt, the ECB this week. Like I’ve mentioned previously I don’t expect us to be hearing about any changes to interest rates in the news tomorrow, but what might be on the agenda is potential changes to their bond-buying program. It was suggested this might be spoken about at the last meeting, however, it got pushed back. Overall the trend has been bearish in the Euro lately and longer-term I can’t see that changing. We have a long-term sell signal out on the Euro and I really like the look of it. 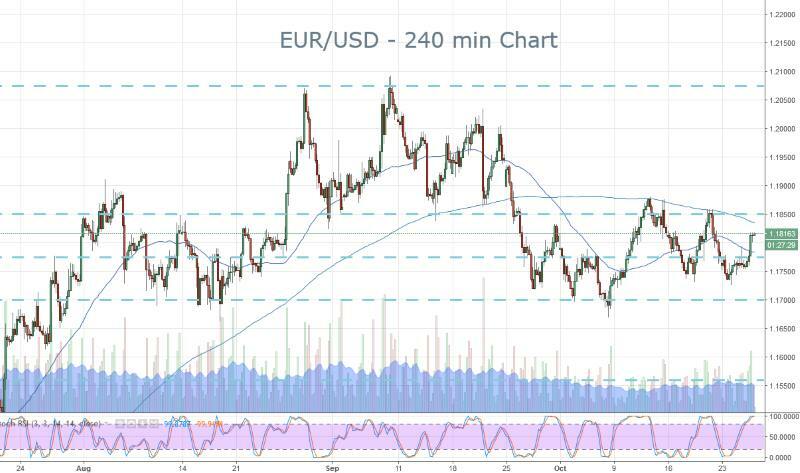 Here are some of the key support and resistance levels that might come into play after we hear from Mario Draghi today. The goal is to try and short any pops, so I will be targeting 1.1876-1.1900 as a key area of interest. EUR/USD – 240 min Chart.